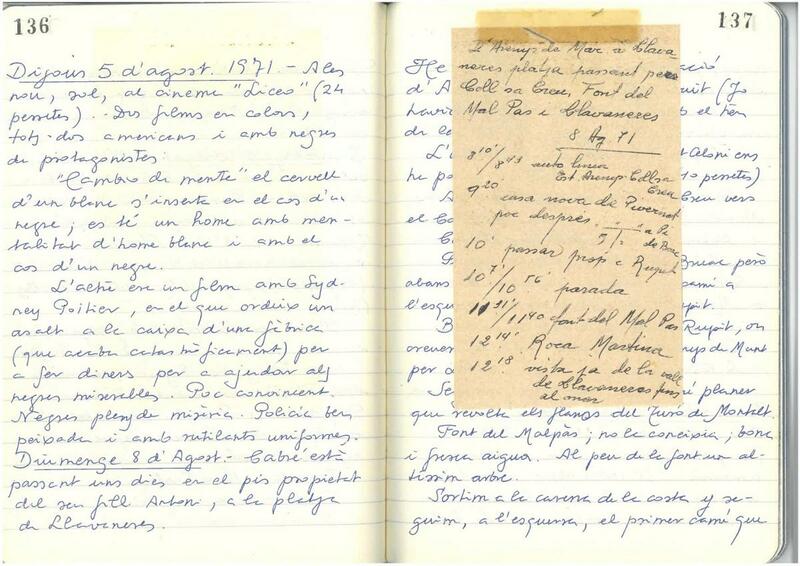 In 2015 in a Barcelona second-hand book market, the writer, Albert Forns found 13 notebooks written by a nameless citizen, who spent quite a lot of time methodically jotting down details of his private life and daily routines. This set Forns off on a quest of investigating the material in the diaries and exploring diary writing as a genre. In this presentation of his third novel (now well underway), he will talk about some of his latest discoveries while working as writer in residence at the Institute for Advanced Studies, and will explain why the non-fiction novel is an appropriate device for this kind of project. His story mainly concerns the author of the notebooks but also branches out into several subplots raising questions like why we write diaries, the ethical dilemmas raised by reading someone else’s diaries, what happens to diaries once the writer dies, and what it means to write diaries in the 21st century.